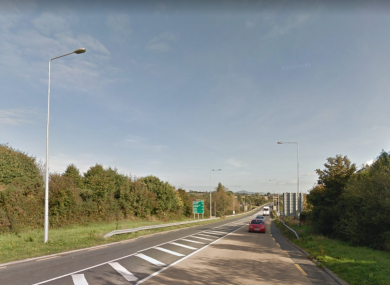 GARDAÍ ARE LOOKING for witnesses to last week’s fatal collision in Enniscorthy. At approximately 12 noon on 22 May, a collision involving three vehicles occurred 200m north of Blackstoops roundabout, Enniscorthy. The front seat passenger in one of the cars, a 19-year-old woman, was taken to Wexford General Hospital where she was later pronounced dead. The driver of that car suffered serious injuries and remains in hospital. The driver of the second vehicle, a green 4×4 was also taken to hospital with minor injuries. One of the passengers in the third vehicle, a silver van, received minor injuries. The scene was examined by a local forensic collision investigators and investigations are ongoing. Investigating gardaí are now renewing their appeal for witnesses to contact them. They are particularly appealing to any motorist in the area at the time of the collision who may have dashcam footage to make it available to them. Anyone with information is asked to contact Enniscorthy Garda Station on 053-9242580 or the Garda Confidential Line 1800 666 111. Email “Gardaí looking for witnesses to fatal three-car collision ”. Feedback on “Gardaí looking for witnesses to fatal three-car collision ”.